We know there are some of you have invested in your own paintball equipment and would like to play more regularly. We also know the cost to do so can be prohibitive. We know this because many of the staff and management are also regular playing gear owners just like you and we want to help. Our memberships make it much more affordable to play paintball on a regualr basis. There are no limits to how many times you use them. Our Annual Memberships are good for a calender year from the beginning of January to the end of December and our Lifetime Memberships NEVER expire. Both completely eliminate field fees on regular game days and allow you a 50% discount on field fees on special events days, like our .68 calibre Discount Days for instance. Both the Annual and the Lifetime Membership also entitle you to a 10% discount on paintballs purchased for your personal use at the field that day. At current prices that’s an additional $4.50 savings if you buy and shoot 500 paintballs; more if you shoot more paintballs. For most players the membership will save you about $30 on each visit meaning the Annual Membership will pay for itself in less than 3 visits. You can do your own math based on how many paintballs you normally shoot in a day, but it’s not difficult to see that both the Annual and Lifetime Memberships are an amazing deal! TNT Paintball memberships are now even better! 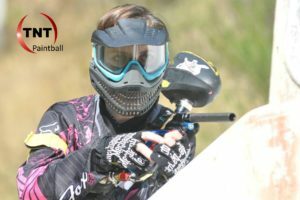 We have partnered with onlinepaintball.ca and Frontline Paintball in Surrey. TNT Paintball members in good standing will receive discounts on purchases made at either establishment. We will supply you with a laminated membership card which you can show upon your arrival to any of our staff to recieve your discounts. Memberships are available for purchase at the field on your next visit and can be used the same day! *Prices and availability of memberships are subject to change.